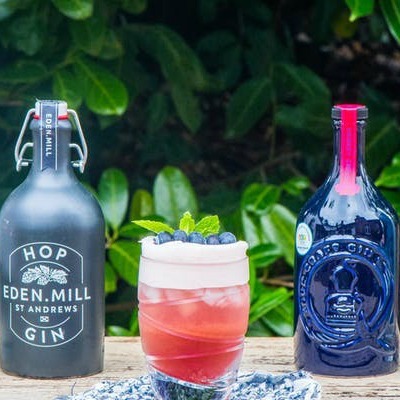 The Wee G&T Festival is Provender Brown Deli’s celebration of all things juniper. Back for the third year, it is set to be better than ever! We’ve moved to a bigger, brighter venue so we can accommodate more people and even more gins! Our favourite distillers will still be there, alongside lots of new ones, including Isle of Harris, Whitley Neill and The Gin Bothy. We’ll have dozens of gins to sample (nearly 70 at last count! ), lots of industry experts on hand to chat to, gin-related cookery demos and masterclasses*… and, of course, there will be ample opportunity to purchase all your favourites! Ticket includes all tasting samples, masterclasses, cookery demos and a festival guide. *Spaces for Masterclasses and Cookery Demos will be limited and will be allocated on a first come basis. There will be an onsite bar where full-sized gins and other drinks may be purchased. Food will also be available to purchase.